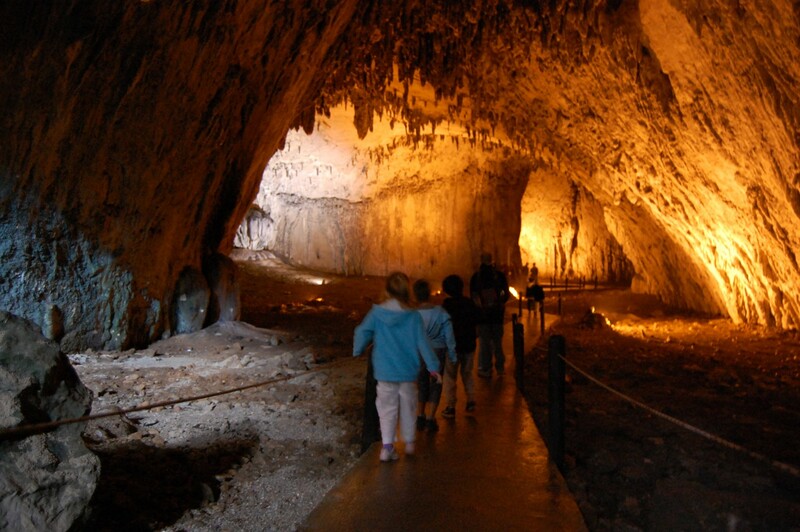 Use the form below to contact tour Sarajevo - Bijambare Caves Tour directly. Driving to the top of the Nisicka plateu you will notice breathtaking view of fields full of sheeps and cows nearby the villages. People that are living here are famous for organic food, milk products. Its a perfect place for mountain bike or hiking and walking trough the forests. Bijambare tract, encompassing 370 ha, is recently proclaimed by law as protected area of the fifth grade (“protected landscape”). It is traditionally highly valued because of its natural beauty and richness. 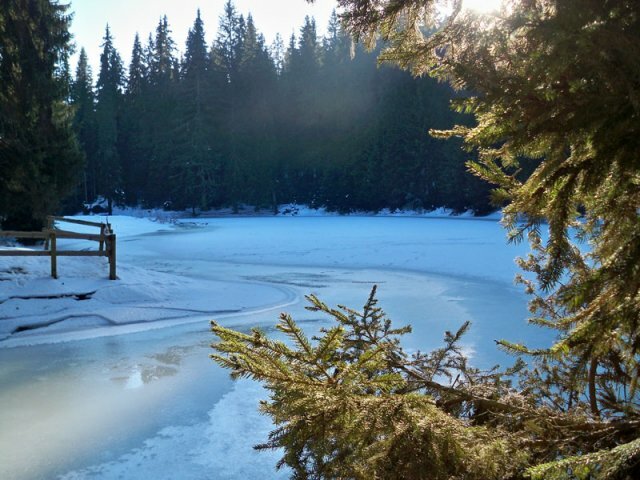 The Reserve is situated in the northeast slopes of the Canton Sarajevo near Nisici highland. Its accessibility, due to favourable position near by the regional road Sarajevo-Tuzla, makes it additionally attractive for tourists. At altitude averaging 950 m a.s.l. thick old evergreen forest with various pine trees and fresh air is found. There are also beautiful meadows crossed by two creaks that form small lakes and sink underground into karstified limestone rock base. 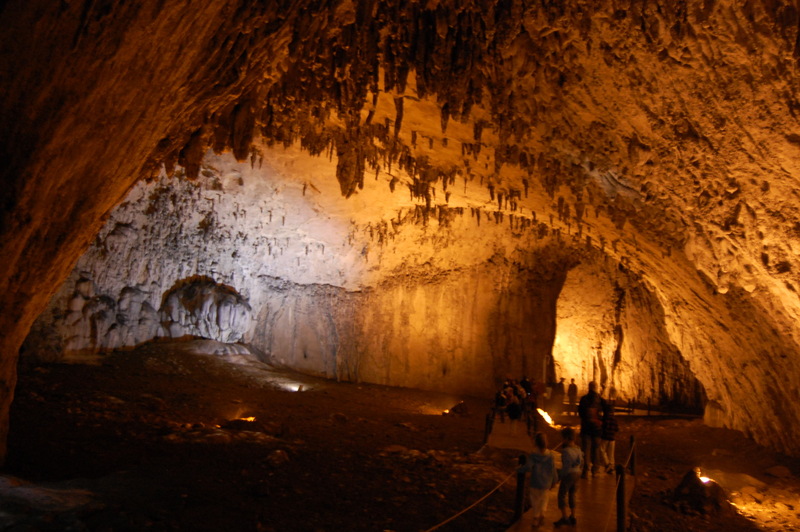 Being situated in the karstic region area is rich with most karst phenomena such as karstic depressions, sinkholes and, most importantly, 6 known caves. The reserve is attractive for spelaeology, hiking, cycling, horse-riding, picnic, mountaineering, alpinism, fishing, hunting, skiing, collecting of medical herbs and mushrooms, etc. Certainly, the greatest attraction is the presence and accessibility of caves that are nicely grouped. In three horizons there are five caves that are named and better known, but there is also one more unnamed cave and possibly even more undiscovered ones. 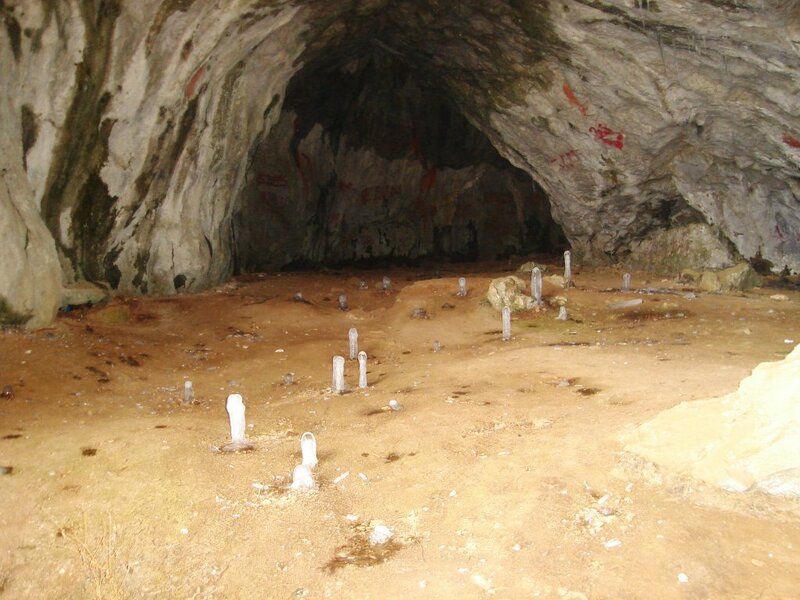 The largest cave is called Bijambare main cave, or sometimes: mid-Bijambare or simply Bijambare. The main cave is of considerable magnitude, 420 m long (along the main path, neglecting branches) with 4 huge “halls” stretching up to 60 m in the diameter and to over 30 m in height. One of the halls (the last one) is commonly called “concert-hall” due to its impressive size. The cave is rich with cave “jewellery” forms such as stalactites, stalagmites, curtains, basins, side-blocks and alike. It is presently inhabited by colony of bats and crickets. Other inhabitants could possibly also be found. In the upper Bijambare cave stone-tools of the cave-man were found after brief explorations in 1967. Most probably many more could be dug-out. Skeletons of ancient bears, dears and other animals were also discovered in some of the caves. 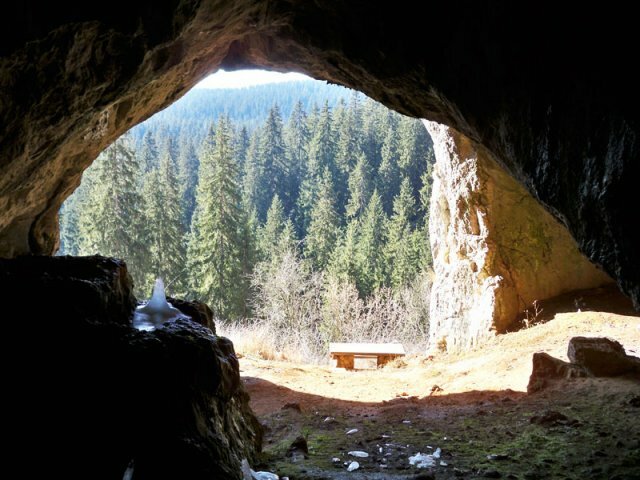 In Ethno Beys village is located in a protected natural reserve zone Bijamabare between Nišička highlands and Bijambaras cave, place Borak. Altitude is 1040, we are 500 m away from the main road Sarajevo – Tuzla. The village is located 40 km from Sarajevo city center. Take the M18 road to Tuzla and continue about 30 km and on the left side you will see our sign. Only Bosnian native food prepared in authentic way unchanged for decades. From the nearby villages buyed fruits, vegetables, brandy, flour, smoked meat, honey, flour, and milk products which are grown or made on the organic way without using artificial pesticides. How to Make Your Reservation: After selecting your tour, simply click on SEND REQUEST button, and fill in the booking form, with as much details as possible. Please make your reservations as early as possible since many of our tours are completely filled 4 to 6 months before departure. Payment Method: Once you are confirmed the availability of tour, we will send you pro forma invoice for deposit and final payment. Payments can be done in three ways: PAYPAL, credit card (VISA, AMEX, and MasterCard), or money transfer order to our bank account. Deposit: The amount of deposit differs depending on the tour, but is usually 30% of the total amount and is due from 7 to 14 days after the reservation. Upon receiving the deposit or credit card authorization form, you will be sent a deposit confirmation. Final Payment: Final payment is usually due 45 days prior to the departure date. If reservations are made less than 45 days prior to departure, payment in full is required at the time of booking. If final payments are not received on time, Master . DMC may cancel the reservation and invoke the cancellation fee. Confirmation: Once we receive the final payment in total amount you will be sent the VOUCHER with booking details. Please print it and take it with you to present it to our travel representative at the airport. Pricing: Price quoted is per person based on double occupancy. The Operator reserves the right to adjust prices due to fluctuations in foreign exchange rates, imposed fuel surcharges, taxes, charges and levies imposed by any third party including government and its agencies. Should these change the price of your tour by more than 10% you may cancel without penalty within 7 days after we notify you of the increase.